CRL also got some time limits associated. CRLPeriodUnits – Specify the number of days, weeks, months or years CRL will be valid. CRLPeriod – Specify whether CRL validity period is measured by days, weeks, months or years. CRLDeltaPeriodUnit – Specify the number of days, weeks, months or years delta CRL will be valid. For offline CA this should be disabled. CRLOverlapPeriodUnits – This specify the number of days, weeks, months or years that CRL can overlap. CRLOverlapPeriod – This Specify whether CRL overlapping validity period is measured by days, weeks, months or years. Now we have all the settings submitted and in order to apply changes cert service need to be restarted. 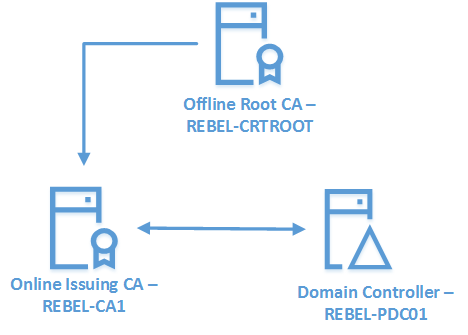 certutil –f –dspublish "REBELAdmin Root CA.crl"
Now we finished with the root CA setup and next step is to setup Issuing CA. 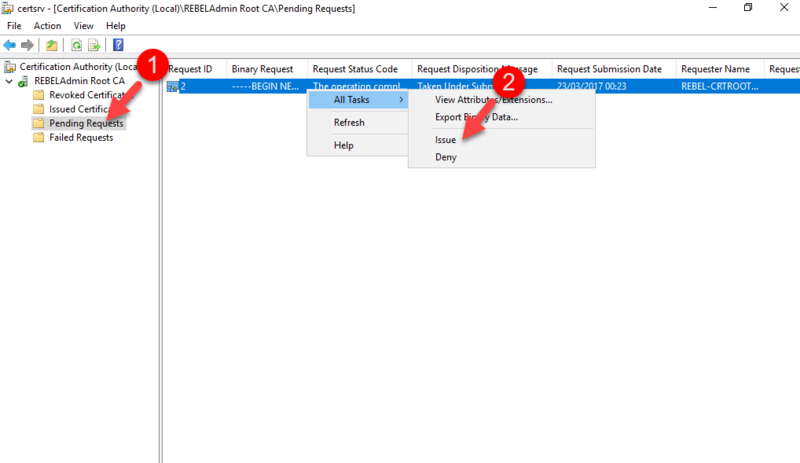 Issuing CA will be running from a domain member server and it will be AD integrated. In order to perform the installation, need to log in to the server as domain admin or enterprise admin. First task will be to install the AD CS role. 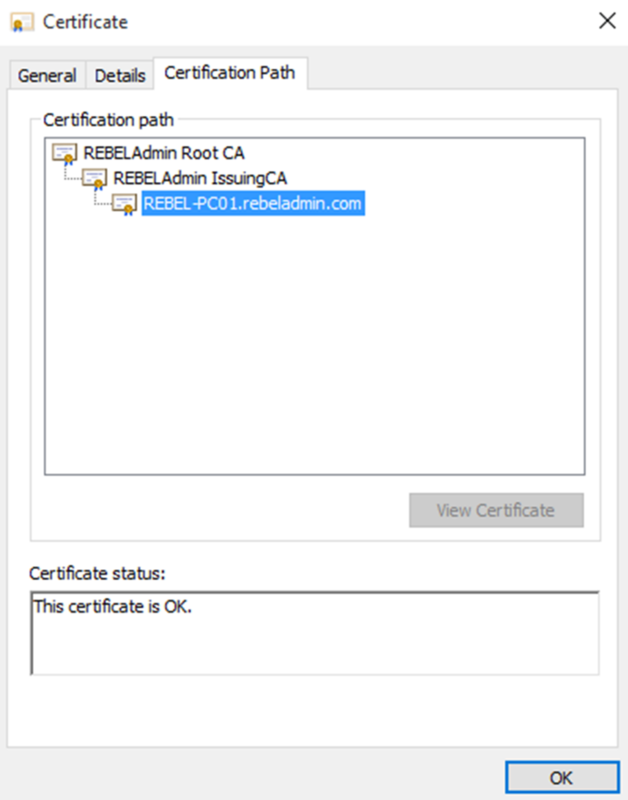 In order to get AD CS running on issuing CA, it needs the certificate issued from the parent CA which is the root CA we just deployed. During the role configuration process, it automatically creates the certificate request under the C:\ and exact file name will be listed in command output from the previous command. Once it is issued, it need to be export and import in to Issuing CA. 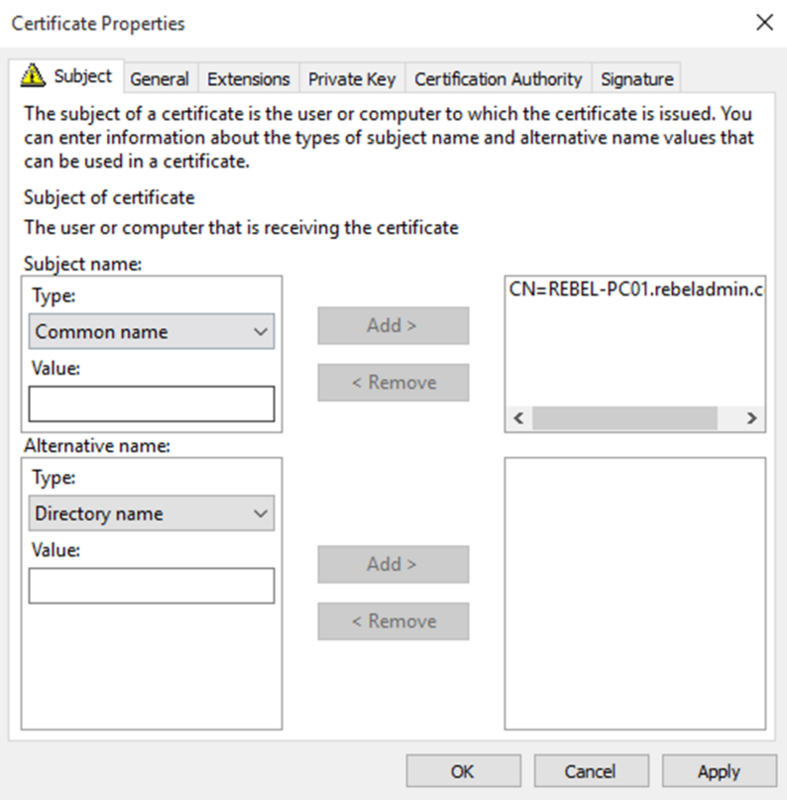 above command will export the certificate. The number 2 is the “Request ID” in the CA mmc. Similar to the root CA, after the initial service setup, we need to define some configuration values. It is similar to the root CA and I am going to use already created web location for it. certutil -setreg CA\CRLPublicationURLs "1:%WINDIR%\system32\CertSrv\CertEnroll\%3%8%9.crl\n2:http://crt.rebeladmin.com/CertEnroll/%3%8%9.crl\n3:ldap:///CN=%7%8,CN=%2,CN=CDP,CN=Public Key Services,CN=Services,%6%10"
certutil -setreg CA\CACertPublicationURLs "1:%WINDIR%\system32\CertSrv\CertEnroll\%1_%3%4.crt\n2:http://crt.rebeladmin.com/CertEnroll/%1_%3%4.crt\n3:ldap:///CN=%7,CN=AIA,CN=Public Key Services,CN=Services,%6%11"
Once all done we can run PKIView.msc to verify the configuration. Note – PKIVIEW was first introduced with windows 2003 and it gives visibility over enterprise PKI configuration. It also verifies the certificates and CRL for each CA to maintain integrity. Now we have the working PKI and we can turn off the standalone root CA. 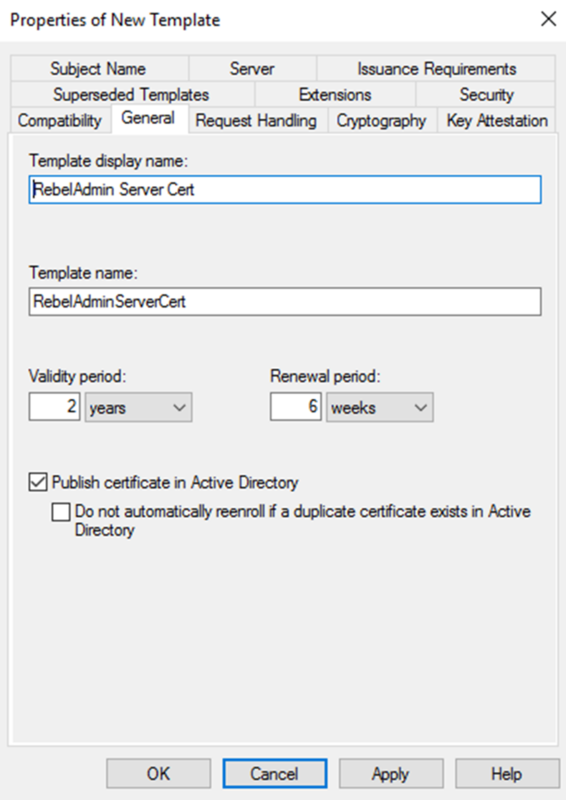 it only should bring online if the Issuing CA certificates are expired or PKI compromised to generate new certificates. Once CA is ready, objects and services can use it for certificates. CA comes with predefined “Certificates Templates”. These can use to build custom certificate templates according to organization requirements and publish it to AD. Security – Authenticated Users or Groups must have “Enroll” permission to request certificates. Next step before use it to issue the certificate via CA. Then the members of the domain can request certificates based on that. 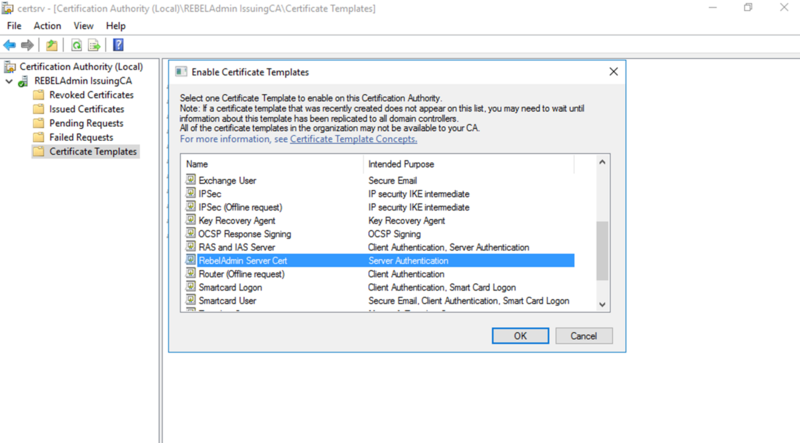 Then from the list select the Template to issue and click Ok.
Based on the published certificates templates, users can request certificates from issuing CA. 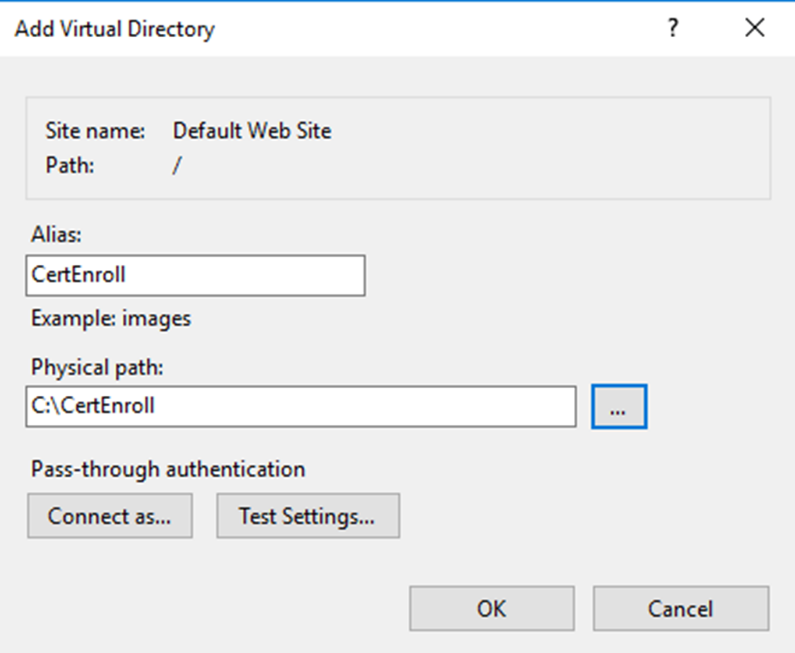 I have log in to an end user PC and going to request a certificate based on template we just created in previous step. 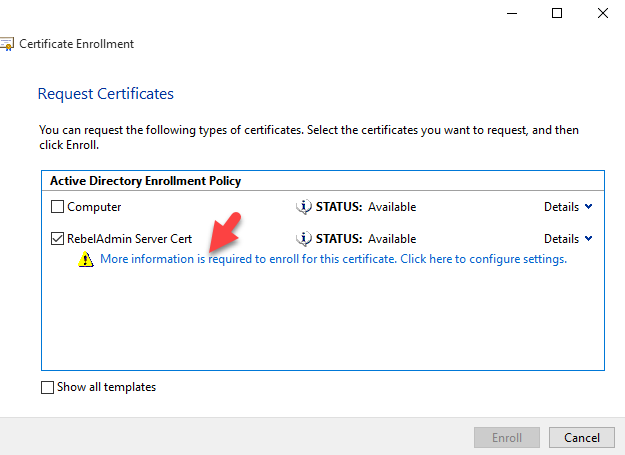 From the list select the “Computer Account” to manage certificates for Computer Object. This is depended on the template. Once selected, in next window select Local computer as the target. It will open new window and click next till it reach request certificate window. In there we can see the new template. Click on check box to select and then click on link with Yellow warning sign to provide additional details which required for the certificate. Provide the required fields and click ok to proceed. Most of the time its Common name which required if its computer certificate. Once it’s done, click on “Enroll” to request certificate. 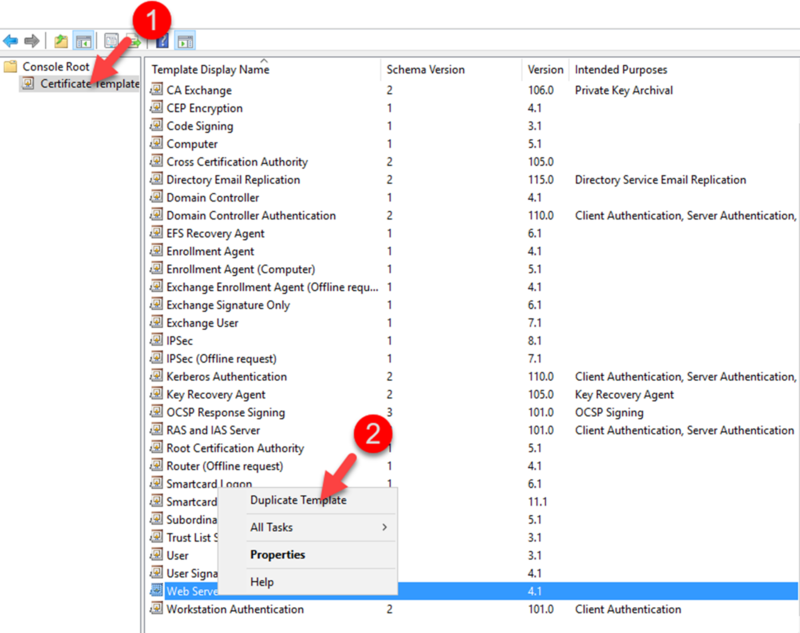 Then it will automatically process the certificate request and issue the certificate. Once its issued it can be found under the Personal Certificate Container. 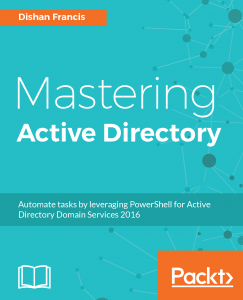 In this exercise, we learned how to setup two-tier PKI correctly. After setup, as any other system regular maintenance is required to keep up the good health. Also, it is important to have proper documentation about the setup, certificate templates and procedures to issue, renew and revoke different types of certificates. This marks the end of this PKI blog series. If you have any questions feel free to contact me on rebeladm@live.com also follow me on twitter @rebeladm to get updates about new blog posts.